Fineview is one of Pittsburgh's best kept secrets! Carved in the side of a hill in the northern part of Pittsburgh, this Northside community can be mistakenly overlooked. Ironically, Fineview has one of the best views of downtown Pittsburgh around. Right behind Allegheny General Hospital, and just minutes from downtown, it is hard to believe that this rural-feeling community is so conveniently located. Fineview operates an active block watch to help empower residents to take a stand against crime, blight and other issues that can negatively impact our community. 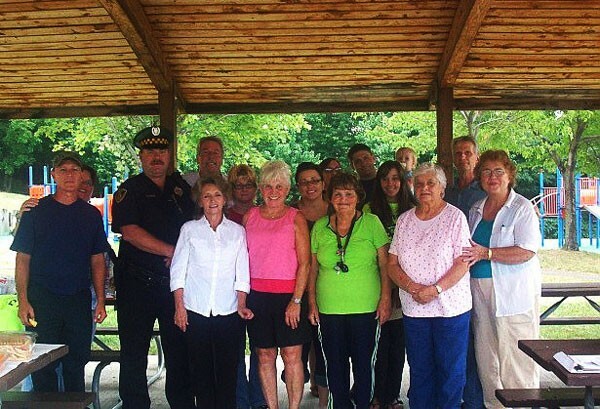 If you're a Fineview resident and want to get involved, or share information or concerns about public-safety related issues, please contact Block Watch Coordinator Erin Gill at (412) 512-9225 or eringill9@gmail.com. You're also invited to come out for the Monday Night Stroll & Patrol walks, where neighbors get together and take to the streets to pick up trash and update each other on what's happening in the neighborhood. The walks will continue through the end of September, every Monday night, 7pm/meet at the Catoma Street Overlook. Pets and kids are welcome! And please check out our community website, http://fineviewpittsburgh.com to stay up to date on all the latest happenings in Fineview. Let's keep our community safe!